Shop at Amazon? 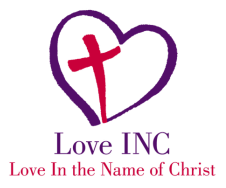 Help Love INC at no cost to you! If you already shop through Amazon, consider using Amazon Smile...every time you shop, Amazon will contribute .5% of your total purchase towards Love INC in San Gabriel Valley. Simply go to Smile.amazon.com and put Love INC Northeast San Gabriel Valley as the charitable organization. Thank you! Please drop off items on Monday, Wednesday or Friday 10 am-2 pm, and call 626-858-3300 for directions to the office.